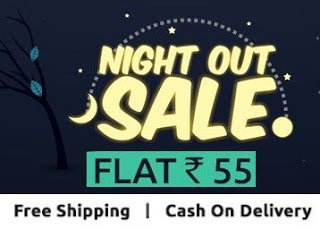 Hello Dealsnloot Readers,Shopclues has come up with an amazing sale named “Night out sale” where they are selling all useful products at just Rs 149 only. The best thing about the offer is that there are no shipping charges involved.This is Limited period offer with Free Shipping. So Hurry Loot This Offer And Deals. Note :- Shopclues Night Out Sale Start On 8.00 P.M And End On Morning 10.00 AM. How to get Shopclues Shopclues Night Out Sale ?